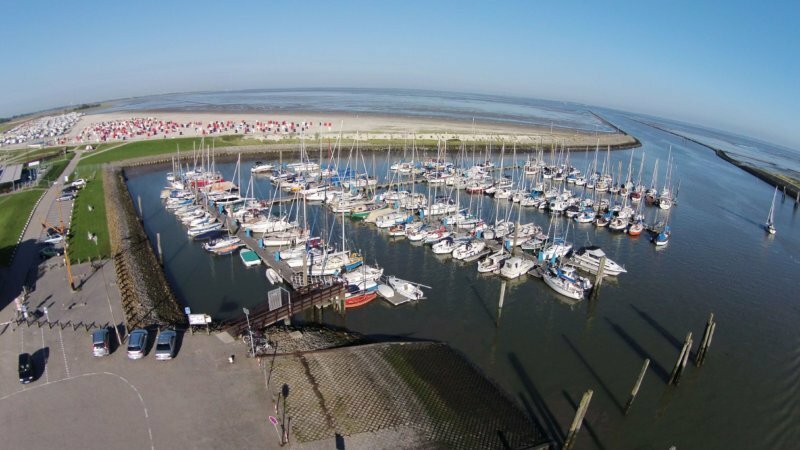 Bensersiel – Jachthafen is one of the biggest sailing clubs on the North Sea coast. 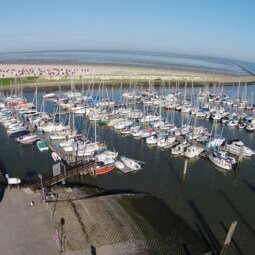 The modern sports-boat harbour is located in the East-Frisian mud flat – undeniably fascinating sailing area. From this central location, you can quickly reach all the islands – from Wangerooge till Norderney. Protected by the East-Frisian Islands, the mud flat is a unique landscape with rare fauna and flora. The lively coast town Bensersiel will offer you a unique beach as well as various other free time activities. Everything can be reached easily on foot or by bike. If you are visiting this harbour during the summer months, check out what’s going on around as usually there are many exciting events near the harbour. In this harbour you can only request for a berth sport in advance. After accepting the request, the harbour master will give you a notice on which spot is reserved for your boat. The harbour fee is 1,20 EUR per meter.